Located in the spectacular Coast Mountains of British Columbia, and just two hours north of Vancouver, Whistler is Canadas premier, year-round destination. 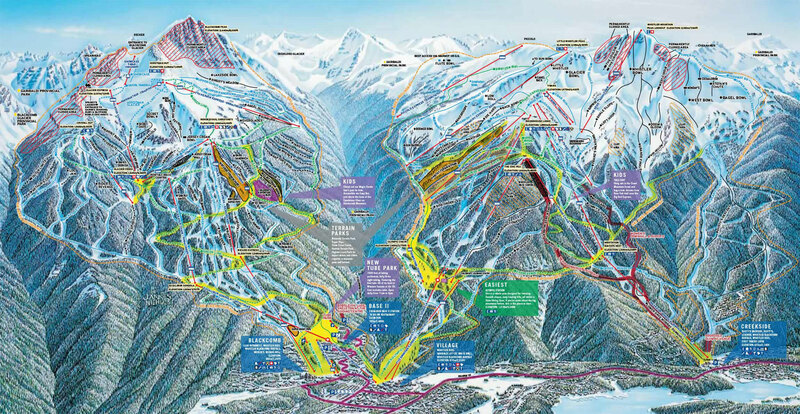 Whistler has been ranked number 1 ski resort 12 years running and was also host to the 2010 Winter Olympics. A unique ski village with a distinctively West Coast style, relaxed mood and spectacular skiing. Consistently ranked the number one resort in North America, Whistler features two majestic mountains, epic skiing and snowboarding conditions, four championship golf courses, more than 200 shops, 90 restaurants and bars, accommodations galore, hiking trails, spas and arguably the best mountain bike park in the world. In short, Whistler has everything you will ever need to have the time of your life - and so much more.